Dance to Another Tune is a radio performance that aired on Hooskow, a community radio station in the town of Skowhegan, Maine. The performance consisted of reading the artist statements of the 65 artists in residence at the Skowhegan School of Painting and Sculpture that summer. 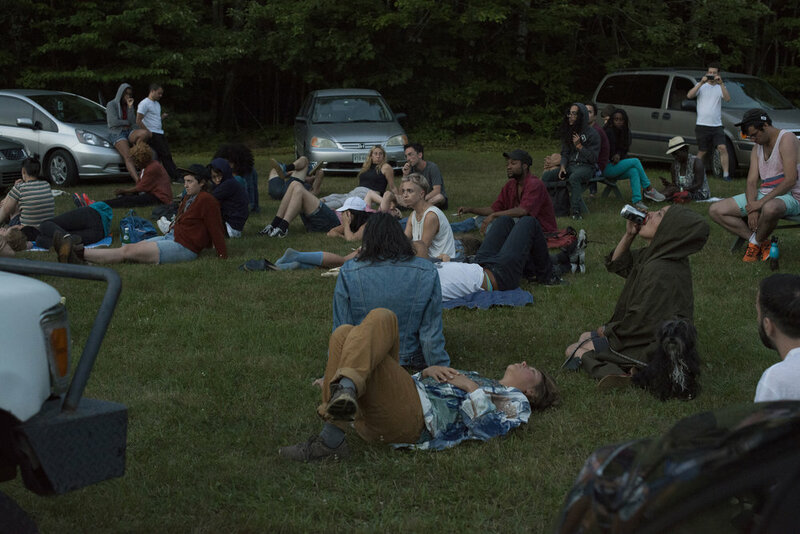 During the broadcast, the artists gathered in the upper field of the school’s campus, parked the cars in a circle and created an acoustic drive-in, listening to the piece through the car radios. 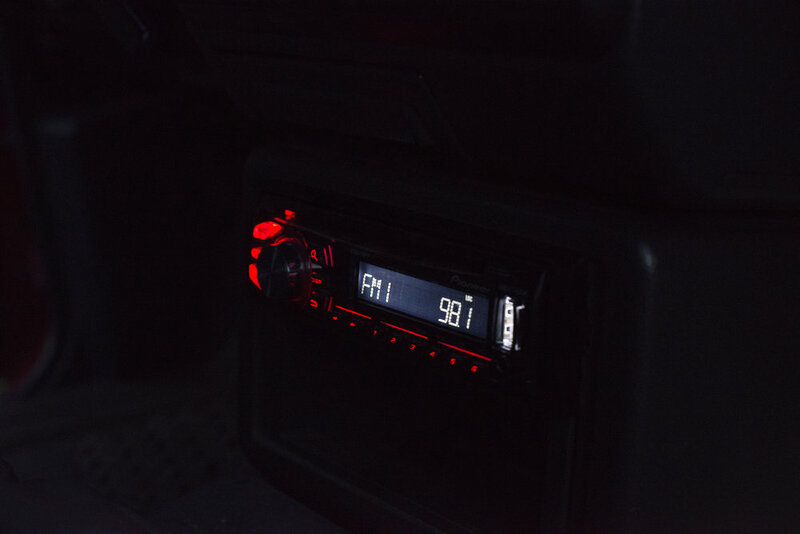 The work proposes a collision, between radio—conceived as a popular form, clear, communicable, informative, and entertaining, thriving on an idea of publicness—and the artist statement—read as an esoteric form, cryptic, highly-polished, and often daunting. The result of this clash conjures something of a sci-fi quality, amplified by the accompanying drone music and the setting sun on the upper field, and reinforced by the glimpses into the 65 artistic worlds. As the performance unfolds, certain words, concepts, and descriptions appear over and again. They pile up on top and between the bodies lying on the field to create a semiotic field too familiar that it becomes vague, senseless. Meaning fades away, words travel hollow yet they condense the ether, thicken the air. Skowhegan is not only a school and a campus, despite the world of possibilities and experiences these allow. Skowhegan is also a town, a hometown and a residence for thousands of people. How can the two—Skowhegan and Skowhegan—meet? Is the former merely an isolated world of artistic inquiry and the latter merely a world of dwelling? Will the artists only inhabit their world, retreat to its upper field while shunning the other? The work was a site-specific, and by extension experience-specific and time-specific gesture to reach out, to connect the two worlds. We proposed our worlds via traveling sound waves, burdened with that condensed jargon. The traveling worlds may or may not have been heard by some or many, but we definitely heard them, flooding that upper field, now a pool in which we were swimming—perhaps even suffocating. Radio performance and event, 1 hr. 10 min. Music by Thomas Prislac Jr.
Special thanks to Andy Wendell for production assistance, WXNZLP Skowhegan, Maine for the audio production studio, and Skowhegan class of 2016.